The Crédit Agricole Alpes Provence bank is deeply committed to the world of wine and supports several winegrowing appellations in the Rhône Valley. As official partner and supporter of our events in Rasteau (« Quand VIN le soir… Rasteau WINE bar » and the « Nuit du VIN ») we decided to find out more about the people who work alongside the winemakers of our appellation on a daily basis. We spoke to Audrey MARSEILLE, a Rhône Valley Agriculture and Viticulture Advisor who has spent the past 12 years working with the region’s farmers, whether they grow fruit and vegetables, tend to animals, or grow vine stocks, and more specifically with winemakers. AOC Rasteau : So you work as a Rhône Valley Agriculture and Viticulture Advisor. What does your job entail? Audrey Marseille : It is my job to offer our winemaker clients solutions to help them to develop and achieve their professional projects. We cover lots of different aspects to meet their needs, such as banking, insurance, loans, and savings plans. “Our clients have increasingly specific requests.” To allow us to respond appropriately, the Agriculture and Viticulture Business Centre proposes personalised solutions for each client according to their needs and the different seasons. AOC Rasteau : What tools can an advisor provide for winemakers? Audrey Marseille : We adapt our offers to their profession and specific requests. For example, we assist them if adverse weather conditions compromise their work and consequently their income. For the past two years we have been implementing assistance measures to support them and the financial aids can concern their cash flow or investments. We can offer them ‘breaks’ by adjusting payment deadlines or giving them a year to get back on track. We can also offer to finance their stocks so that the latter don’t weigh on their cash flow; this is the case for example for wines which require long aging periods and are not for immediate sale. We adapt our services to the winemaker in front of us. The solutions will obviously be different for a young winemaker just starting up; a winemaker whose business is expanding in France or abroad, a winemaker who is about to leave the profession, etc. This is the purpose of the Business Centre, at the Palais du Vin in Orange, staffed by experts in different spheres such as monetics, employee savings plans, collective and agricultural insurance, international business, etc. 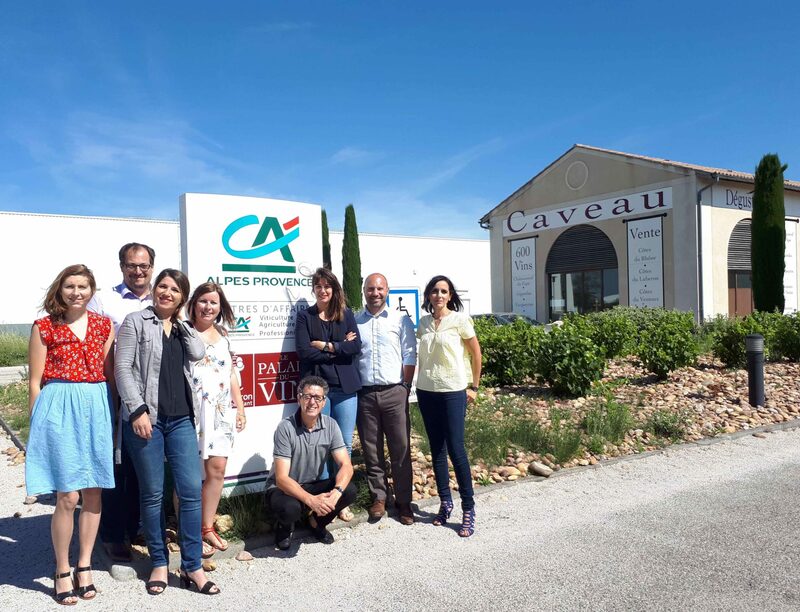 The CAAP (Crédit Agricole Alpes Provence) also offer a ‘cooperative pact’. This is a loyalty scheme for our clients offering them preferential conditions when they choose us for all their requirements (banking, insurance, loans, savings, etc.) and all their professional flows (in other words the comprehensive management of their professional income). This scheme gives them access to private sales of real estate, tax breaks, or private sales of savings plans allowing them to benefit from special conditions when opening a life insurance policy, for example. With her Master’s in Communication and Information, Audrey MARSEILLE’s professional background is not directly linked to the world of wine. Nevertheless she confirms that her experience as a Rhône Valley Agriculture and Viticulture Advisor working alongside winemakers has taught her a lot about this difficult yet inspiring profession. AOC Rasteau : We would love to hear what you think about the appellation ! Before working at Crédit Agricole, I attended the “Nuit du Vin” in Rasteau (14 August) with family and friends pretty much every year. 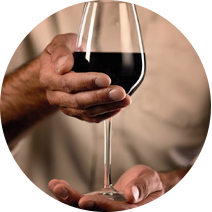 It is a moment of sharing and discovery which introduced me to the pleasures of tasting top quality wines. Recently I participated in the event ‘Quand VIN le soir … Rasteau WINE Bar’ (the 1st evening in July of the 3 organised), and discovered a different atmosphere but the same enjoyment from sampling the wines, meeting the producers, and talking with others. I had a great time and was very impressed by certain wines! But I won’t name them to allow the future participants to make up their own minds! Many thanks to Audrey for talking to A.O.C. Rasteau!